In an editorial piece The Washington Post said that Pres Trump is complicit in creating the hurricane that is going to hit the east coast. What a stupid thing for the paper to say. It goes to proves their hatred of the President and how prejudiced against him they are. The left is getting crazier and crazier. Well, according to Trump, that would be well within his extraordinary powers. Notice the deflection from the left as is usual. Just agreeing with you, Bestie. No deflection at all. Just agreeing with you, Bestie. No deflection at all.? First they denigrate him, then ascribe him the power of a god. Journalism is dead. Stupid Puerto Rican?s dying just to make him look bad, what will those liberals stoop to next? It is kinda weird how the "official" death toll went from a few dozen to 3,000 after almost a year. Wondering what metric they implemented to revise those numbers. Well that didn't take long. So pretty much anybody that died after the entire decrepit power grid was knocked out for months died in the hurricane, including elderly, bedridden, dialysis patients etc. No you don't, unless you like riding on the Short Bus. So pretty much anybody that died after the entire decrepit power grid was knocked out for months died in the hurricane, including elderly, bedridden, dialysis patients etc. Way to chop those people off at the knees. But yes, your logic is flawed in a profound way. That?s like saying vets who died years after viet nam of issues related to agent orange can?t blame the agent orange 10 years after viet nam. It?s called aftermath...don?t be heartless just because your president is. All I'm saying is the media spin is "3000 died in Puerto Rico because Trump" and that's just not accurate. No denying those people died, but it's well documented that the entire electrical infrastructure in Puerto Rico was beyond sub par. That's not Trump's fault (it's the fault of Puerto Rico's elected officials, graft, corruption etc) and it's not his fault it takes months to build it back from the ground up. I don?t think it?s his fault, it?s his callous attitude that people fault, and claiming that it was some kind of victory for him when it was a huge disaster. I always say history will be the judge because in the present people aren?t thinking clearly. I think Trump only *thinks* he has that kind power. Though he tends to spout tornadoes every time he opens his mouth. Debunking the BS from the left never does. 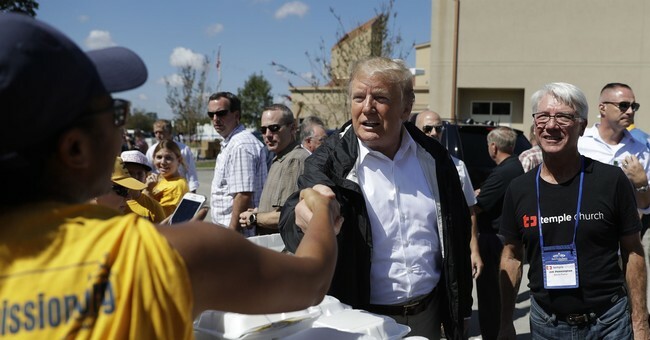 So, Trump went to the North Carolina to talk to the flood victims, see the flood area and only looked at the yachts? Look at all those yachts. Your own eyes can clearly see that Trump didn't just visit with yachts in NC. LOL checking out yachts on the NC coast. That place is a wasteland right now. Looks like Galveston after Ike.